strong, weak, fast, slow, stiff, hard, soft, locked, smooth, round, circle. William: Master Chen, I have noticed that my hands get warm when I do a part of the Yilu (First Routine) correctly. What is happening ? Zhonghua Chen: Nothing is happening. It’s just part of the progress. Stay on track. Ignore what is happening and continue to train correctly. This is where some people will start seeking the sensations that will eventually cause the practice to deviate. Corrected “Step Up to Ride The Whale”, “Step Back to Mount the Tiger”, “Right Golden Roaster Stands on One Leg”. Here is the video from Charlie. 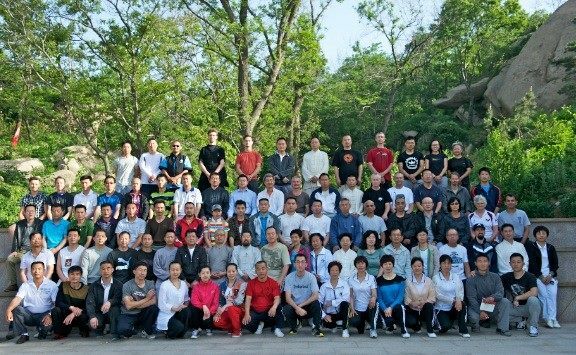 The Daqingshan taiji team participated at the Weifang Martial Arts Competition at the end of last month. The team was led by Master Hong Sen. Today Master Ai, the host of that event is coming to Daqingshan for a courtesy visit. Picking Up Visa in Rizhao! Fourth Practical Method Conference Ended Today! 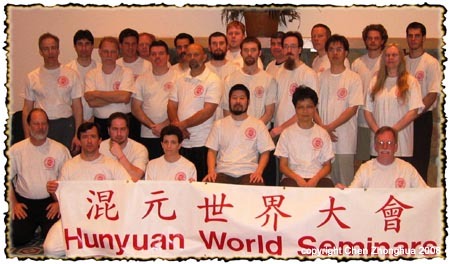 A group of 14 led by Philippe Munn has arrived in Beijing today. They are going to spend three weeks in China including two days in Datong and more than a week on Daqingshan. Here are some photos of their arrival in Beijing today.